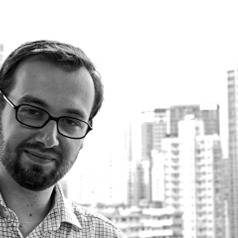 Dr Antoine P. Martin is a Research Associate at the Faculty of Law of The Chinese University of Honk Kong (CUHK). After various experiences as an international regulatory affairs consultant, Dr Martin's is now a young scholar and expert on international economic law, with a particular interest for trade and investment policy and law. He is more generally interested in international and Asia-Pacific policy, and regularly follows, analyses and comments on the legal and political aspects of globalisation. Dr Martin founded, chairs and coordinates the research and analysis work of 'The Asia-Pacific Circle', a focus group for discussing Asia-Pacific developments amongst practitioners, professionals and decision-makers.